DIY Seashell Vacation Memory Monogram is a perfect momento to create, save and cherish from your last family vacation. Hey guys! Family vacations are memorable for everyone, right? However, it’s tough for parents to figure out where to take their vacation – especially if you have a different age range of children. It can be a bit of a hassle when planning to make sure that all the kids will have enough activities that interest them but also that grownups are going to be ableto have fun too. Yes a hassle it may be, but there’s no better feeling than creating long lasting memories the entire family can enjoy, right? Family vacations don’t have to put a strain on your budget either. A car trip to a neighboring city could do the trick. Pick a city that has a popular resort hotel, such as the Princess Royale, that’s full of amusement parks and plenty of fun, free, new activities for the entire family to enjoy. Regardless of what destination you do end up choosing, chances are that you’ll have a great fun filled family vacation. At some point you’ll stop in the gift shop to get some items that both you and the kids can have as keepsakes from such a fun vacation. Well, how about instead of visiting the local gift shop, you make your own keepsake? If your destination has a beach that means that is has seashells. You can go to the local craft store or even a big box store such as Wal-Mart to get any letter and appropriate adhesive glue. Ask the sales associate which glue is best for thenkind of letter texture you choose to get. Now comes all the fun! Gather the kids up and head to the beach – make sure you bring either a pail or bag to hold your shells in. You’ll have a blast finding different sizes, shapes and even colors. Once you’ve gathered all your shells, place your letter on a sturdy level surface. 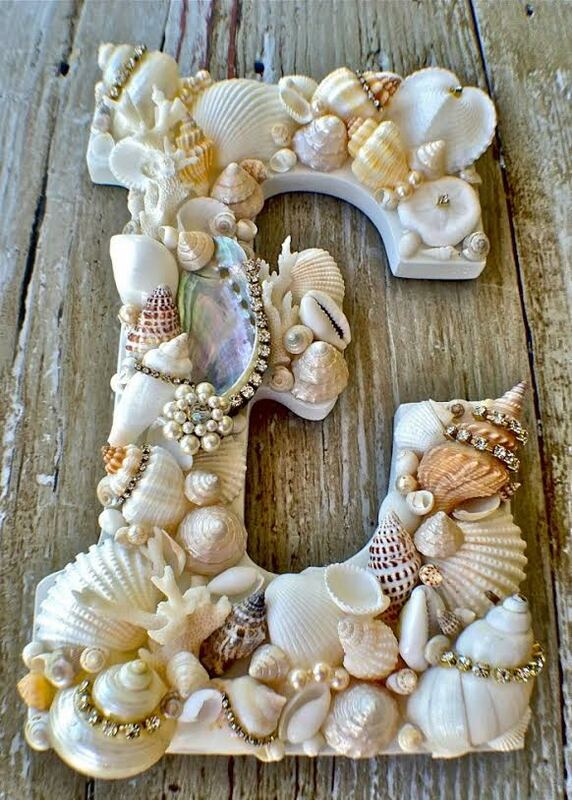 You can either rub the glue over the entire letter and pour the seashells on top or individually glue each seashell to the letter. When you’re done with your design, allow the letter to dry in a cool environment for a couple hours. As soon as it’s dry, you can wrap it and place it in your suitcase to take home. Kids can hang it up in their room or if you’ve created one with your family name, you can place it on your front door. Wherever you decide to place it, it will be always be a reminder of that memorable and wonderful family vacation you spent beachside.